Don’t forget to come along to our Book Fair! 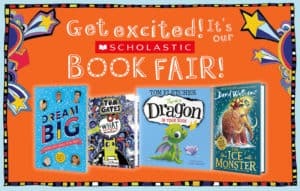 On Wednesday 3rd April & Thursday 4th April the Book Fair will be in the Dance Studio – come along after your Parent’s Evening appointment and have a browse! Lots of fantastic books to choose from!